Ieda Gomes has a broad range of expertise in the natural gas and energy industry with an international career spanning 35 years in the public and private sectors. She spent nearly 14 years with BP in various commercial and business management roles. She was a group leader at BP and worked on several international assignments in Latin America, Middle East, South Asia and West Africa. She was the Vice President of BP New Ventures, where she led various natural gas and LNG development projects in India, Pakistan, Oman, Jordan and Brazil, to name a few, and she was President of BP Brasil during the opening of Brazil’s gas industry to private investors. Prior to BP, Ieda was the CEO of the largest gas utility in Brazil, the Sao Paulo Gas Company, which she successfully restructured. She oversaw the introduction of natural gas in Sao Paulo, coordinated the conversion of the town gas system to natural gas and executed the supply agreement allowing for the importation of natural gas from Bolivia. Ieda is currently a non-executive director at Saint-Gobain Group, Exterran Corporation, Bureau Veritas and Odebrecht and a Councillor at the Brazilian Chamber of Commerce for Great Britain. She is also a visiting research fellow at the Oxford Institute for Energy Studies (UK) and Fundação Getúlio Vargas Energia (Brazil). 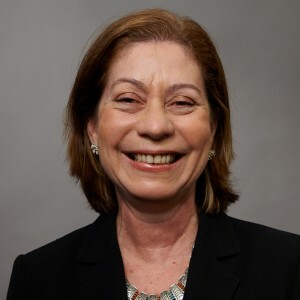 Ieda is a founding director of WILL Latam (Women in Leadership in Latin America). She sits on the board of international companies, trade associations and the advisory committee of international gas conferences. She is a regular columnist at Brazil Energy, and has published various articles about natural gas, energy markets and pricing. She has a degree in Chemical Engineering and post-graduate degrees in Environmental Engineering and Energy. Along Lord David Howell, Ieda co-chairs Access for Women in Energy.